Code 4 Defense was founded by active duty police officers in 2014. From personal experiences in the field and while carrying off-duty, they realized a need for low-profile carry holsters with exceptional performance and retention, capable of accommodating lights and other accessories. What started as a personal hobby manufacturing kydex holsters with a hydraulic press in the basement expanded as other officers and local gun enthusiasts witnessed the performance of these new holsters first-hand. Local gun shops picked up our line, and our work space grew to accommodate orders. In May 2017, we moved into a new brick-and-mortar workshop and retail space in Mount Vernon, Iowa. We have expanded our tools and technologies to further streamline our holsters to increase product quality, and accommodate custom requests. 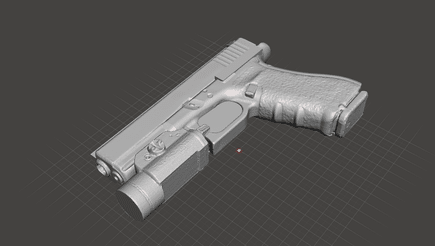 Our process now includes 3-D scans of the gun, rendering, creating a custom mold, and vacuforming the kydex for superior form and retention. Our standards are high, and we promise to continue to go above and beyond in our research and experimentation in order to manufacture the best possible product. Our products are field and range tested so we know your holster won’t let you down when it counts. 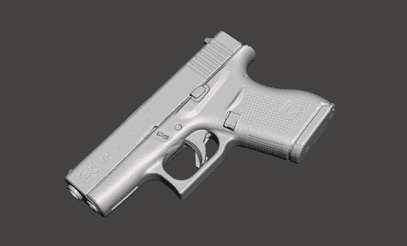 Whether you are military, law enforcement, or a firearm enthusiast, we have a solution for you. Depending on the complexity of the holster, orders are shipped in 7-10 days. Thank you for choosing Code 4 Defense.